Through the generous support of the PTA, Hanalei School is able to offer a well-rounded education to the children with the addition of the following classes: S.T.E.M ( Science, Technology, Engineering, & Math), Art, Music, P.E., Gardening, and Drama. Only through extensive fundraising efforts is the PTA able to hire part-time teachers to teach these essential classes. If you would like to help ensure these classes receive the funding necessary to continue, please go to our Ways To Give page to find out more! The beauty of a child learning to paint, draw and express themselves is invaluable. Art class is just one of the essential classes made possible entirely by the PTA. · Receive a well-rounded knowledge of art techniques and artistic style through the use of water color, acrylic, oil, different paper types, line and form and more. · Find support in the merging of what they learn in Art class with what they are learning in Math or History. Sometimes fractions become more clear when mixing colors of paint to make another color. Or History becomes more fascinating when seen through the eyes of an artist at a certain moment in time. Using the lens of Art to see the world in a different way! · Gain guidance and ultimately confidence in their own special artistic talents as they explore themselves and express themselves an a variety of mediums! In 2018, Hanalei PTA purchased complete STEM teacher’s kits for all seven grades (over $15,000) in support of the school’s transition to the Next Generation Science Standards, a nationally recognized, student-directed, hands-on approach to science instruction. Our science classes provide rich, first-hand experiences that fully engage students and encourage them to think like scientists and engineers! We work to provide as much place-based learning as possible, using our school garden as a laboratory and classroom visits from local STEM professionals. The PTA continues to work with the school administration to fund STEM support staff, materials, and training for our classroom teachers. This school year, the PTA is providing match-funding of over $27,000 in support of a STEM grant from the Hawaii Community Foundation. The combined funding is enabling a fully-staffed STEM education program in all grades, something that would not be possible without funds provided by the PTA. Ask your child about their latest science class - chances are they’ll be excited to tell you all about it! Music at Hanalei School is a dynamic interactive music experience with an emphasis on singing, chanting, rhythm and movement. Songs from around the world are used to facilitate weekly explorations into various cultural songs, giving the Kindergarten through 4th grade an opportunity to notice similarities and differences to their own cultures and traditions. Students are invited to explore their own creativity through movement, rhythm, chant, and song. 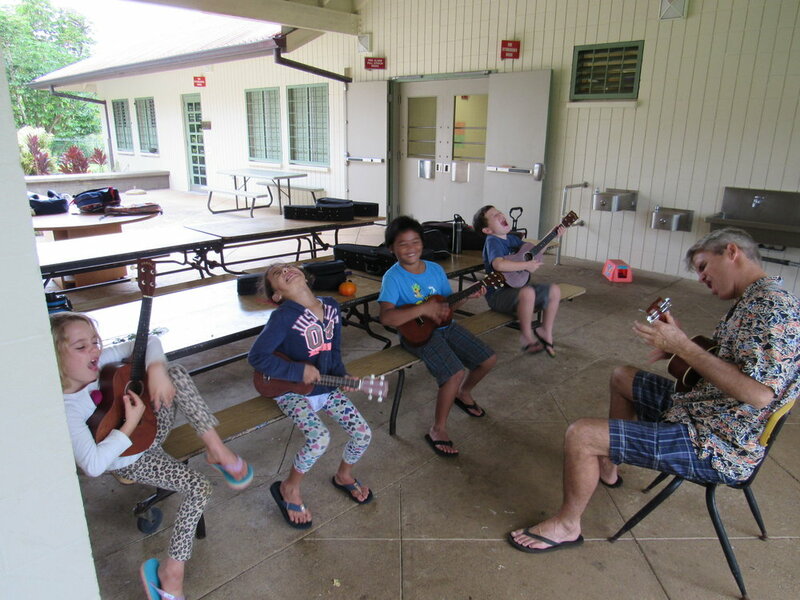 Hawaii State music standards, vocal and breathing techniques, steady beat, rhythm, percussion and ukulele are explored at age appropriate grade levels throughout the year. Children love to use their imagination! What better way to enhance and balance out a day of academic learning with drama and theater!? What child doesn’t love to play and be active? P.E. is offered to all grades at Hanalei School providing them with valuable instruction on how to take care of their bodies. This is so important in a day of rigorous academic mental activity. Garden as Classroom…Plant a seed and watch it grow! 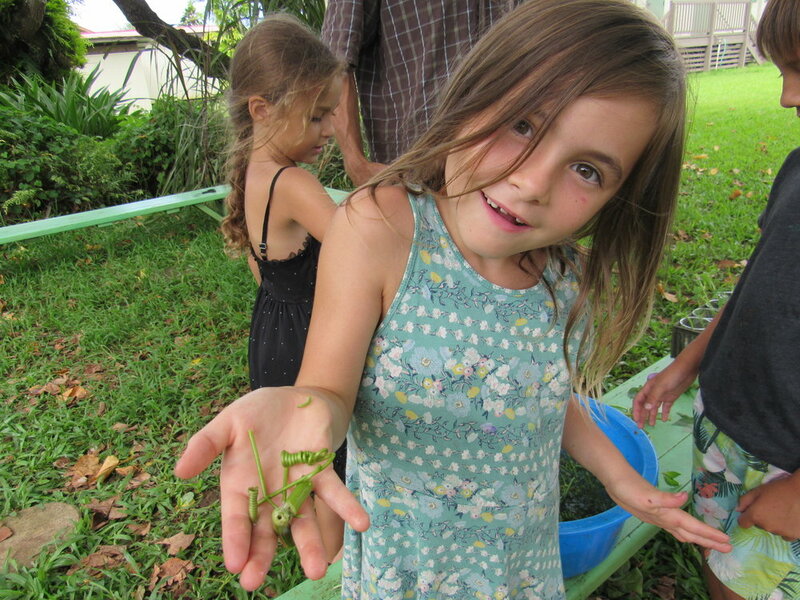 The garden at Hanalei School is a great living classroom for the children to combine their interests in eating, and being outside, with the Science curriculum offered through S.T.E.M. Please consider a donation to support the continued presence of the Enrichment Classes! Without funding from the PTA these classes are in jeopardy of being unavailable or offered on a very limited basis. Thank you for your consideration!